This past June I visited Senegal with the A&S study abroad group. Upon landing in Senegal I could tell that, though there are similarities, there would be some differences that I would have to adjust to. First, their native language is Wolof (African language) and their national language is French. Lucky for me, I spoke neither. Fortunately though, the students, professors and guides that assisted the UofL group were very beneficial. Â Because I was there for school, I focused very much on the differences in their teachers and students. As far as their students are concerned, it was great seeing students who were so dedicated to learning and succeeding. And the teachers; they also proved to be very dedicated to helping the students. The teachers were helpful to my group, but also every student who attended the university only had good reports about their teachers. On to the next important topic; Food! The customs in Senegal are quite different right down to their eating habits. For breakfast we usually ate bread and tea, milk, or water.Â Lunch consisted of fish/chicken and rice. And dinner meals often varried. They would pretty punctual about eating times, which worked just fine for me. It was especially awesome being able to eat and experience such fresh foods. If you are wondering where all of the nice people in the world are, I found them. Not that they were lost, but I experienced a country with people were so kind it made me wonder why anyone could ever be angry; now that’s nice! One of the customs is for everyone in the house to eat off the same plate. This helps to understand the importance of sharing. Another custom is to give gifts, so we were given gifts and gave gifts in return. The custom of givingÂ had such a great influence on me that it caried over when I returned home and I found myself handing things away as often as I got the chance. Though I knew I had to return after my program was over, my experience was so exilerating that I wished I could have stayed longer. The great thing though is that I made such great friends during my stay that I now have people who can help me when I decide to make the trip again on my own. 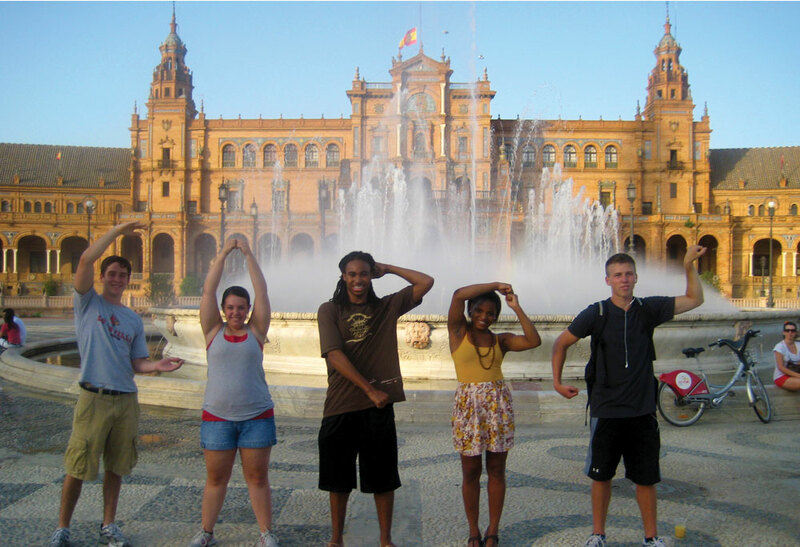 This entry was posted in Study Abroad, Uncategorized by Dexter Lattimore. Bookmark the permalink.